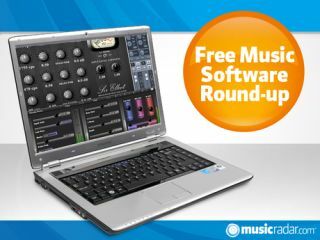 In terms of releases, the week just past has been a relatively quiet one in the world of free music software, but that could well be because developers are busy readying loads of stuff that we'll be getting our hands on very soon. It's rare to find an EQ that's so explicitly designed for use on one group of instruments, but yes, this one really is said to be made for use "solely" on trombone, saxophone, trumpet and other brass parts. If you want to hear it in action, check out the videos here and here. Previously charged-for (we think), this cross-platform reverb plug-in can now be yours for nothing. The developer believes that "high quality density and diffusion provide unparalleled sound quality," and there are 50 presets. You'll have to fill in a registration form to get the download, but that's the only price to pay. Note that the PC version is RTAS only.